All Makeup Rolls are Repairable with seasoned fabrication, repair veterans, and high-tech techniques, United Gear Works is the one of the best company in roller repair companies. 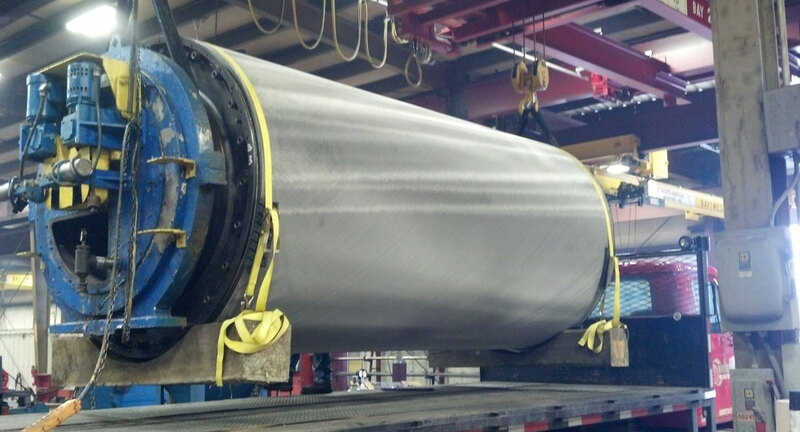 Over last 55 years, we have worked on nearly every type of paper mill roll on both the repair, rebuilt and fabrication sides of the process. back to O.E.M Specifications even if rolls are chipped, gouged, or just worn down from wear. Roller after being completely rebuilt. It looks like new, and is ready to perform like new. 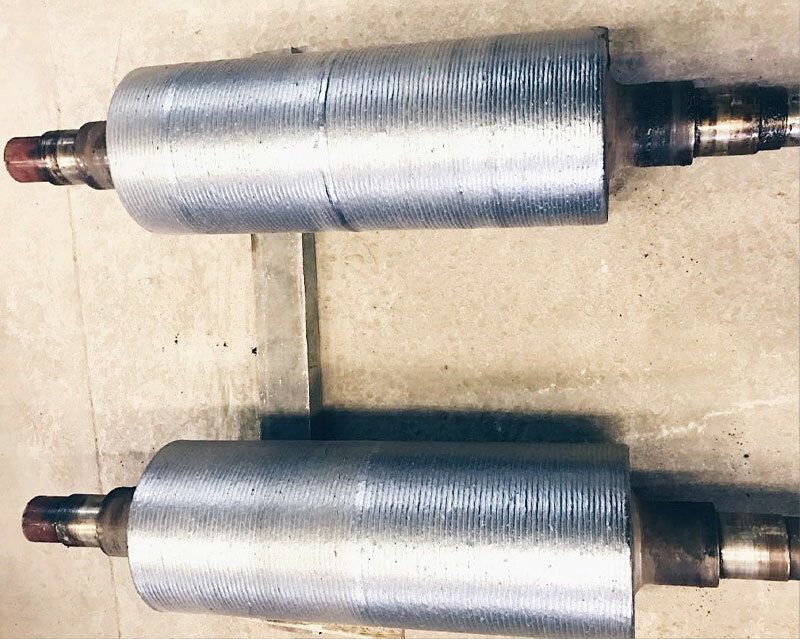 This is what our heat transfer roll repairs can do. 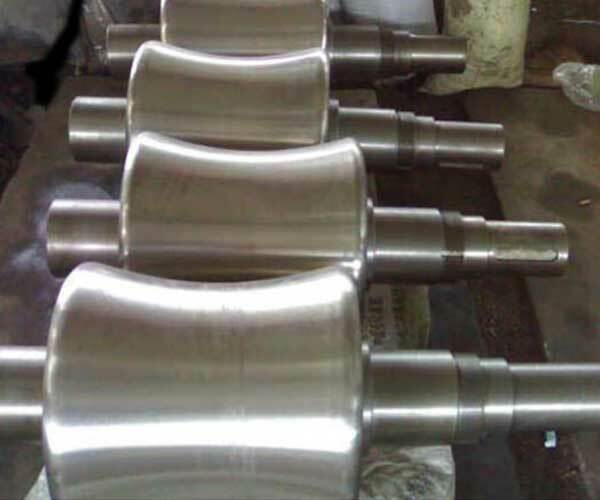 United Gear Works roll reconditioning and repair services can include the removal of seized chocks and bearings, and more importantly, the weld repair of the roll journals. 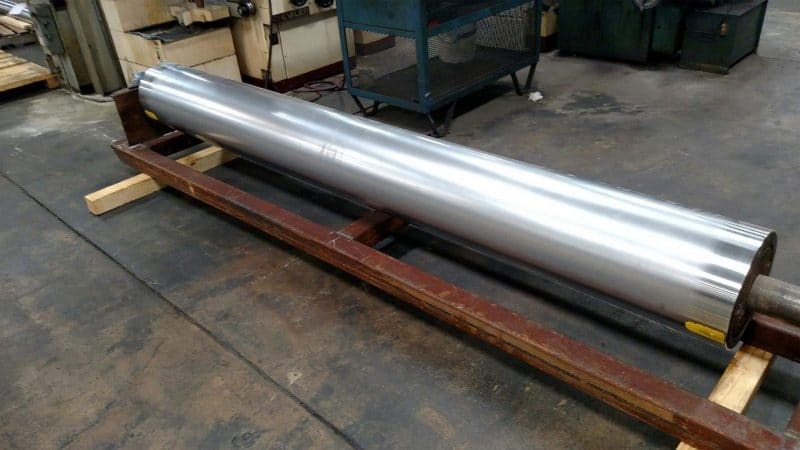 United Gear Works uses only the highest quality vacuum degassed clean steel, properly forged to meet the strictest ultrasonic testing standards in the roll industry. 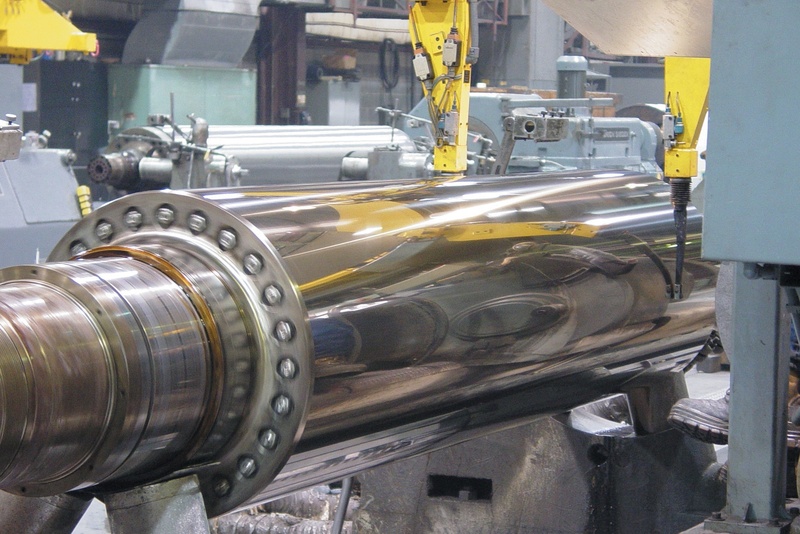 Beginning with the highest quality forging, United Gear Works applies its unique High Gradient Heat Treatment to achieve the microstructure needed for high performance in the rolling mill. At United Gear Works Rolls are engineered for optimal performance and a value-added solution to the demanding needs of the hot steel strip coiling application. The top pinch rolls are supplied as an assembly comprising a forged alloy steel through-shaft, two forged alloy steel hubs. United Gear Works can build up and regrind to original specs. Bearing surface can also be repaired. Center less grinding and rebuild on all center less rolls. United Gear Works will determine the cause of any failure and provide this information along with our quote. Misalignment, excessive heat or overloading in your machine will be noted. 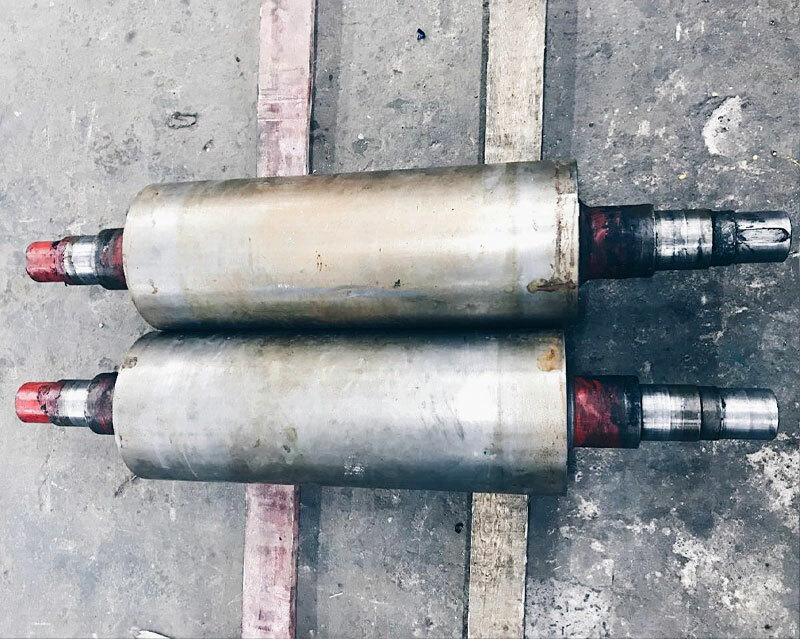 Where most other companies would quote to simply sell you new rolls, We have the skill level on 3 shifts and machine capability to perform even the most complex repairs. United Gear Works will complete all work efficiently and Guarantee all work for (48) months from time of installation.